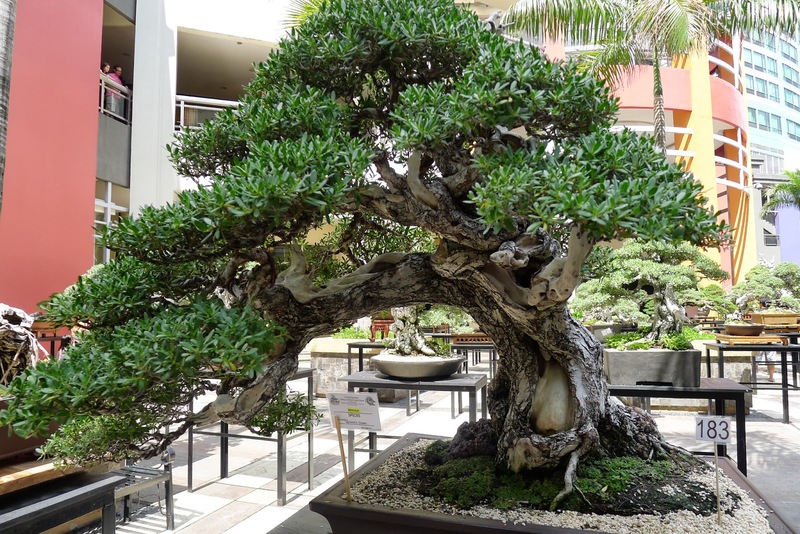 A year ago for father's day, I gave my dad bonsais. I made a mental note during one of our conversations that he wanted to learn to grow and take care of them. 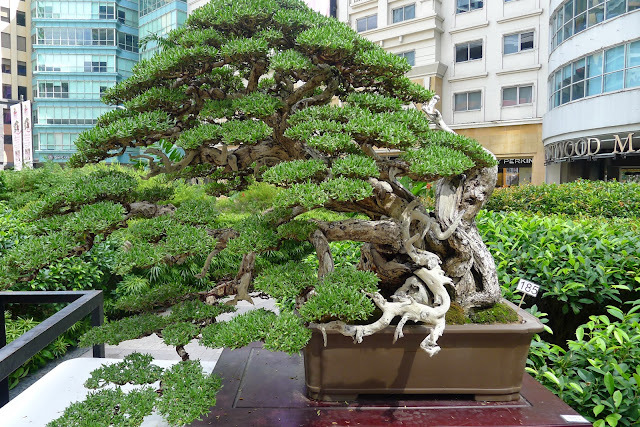 My parents both have green thumbs and a year later, the bonsais are still in their house. 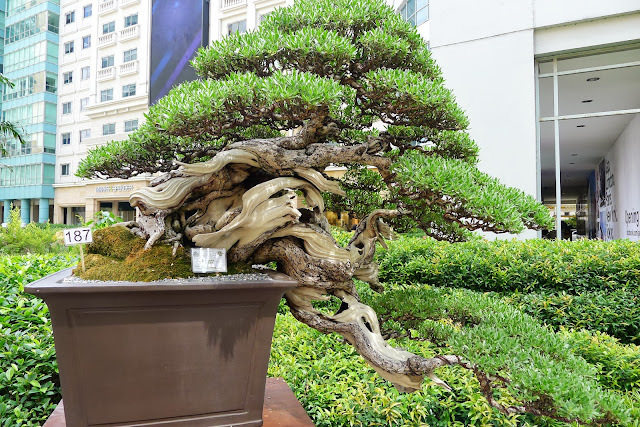 I admit that I have also grown to admire the little trees, I am captivated by their beauty and how perfect they always look, never a leaf out of place. This Sunday afternoon, Mickey and I came across a bonsai exhibit at Eastwood Mall's Open Park. There were so many beautiful bonsais! 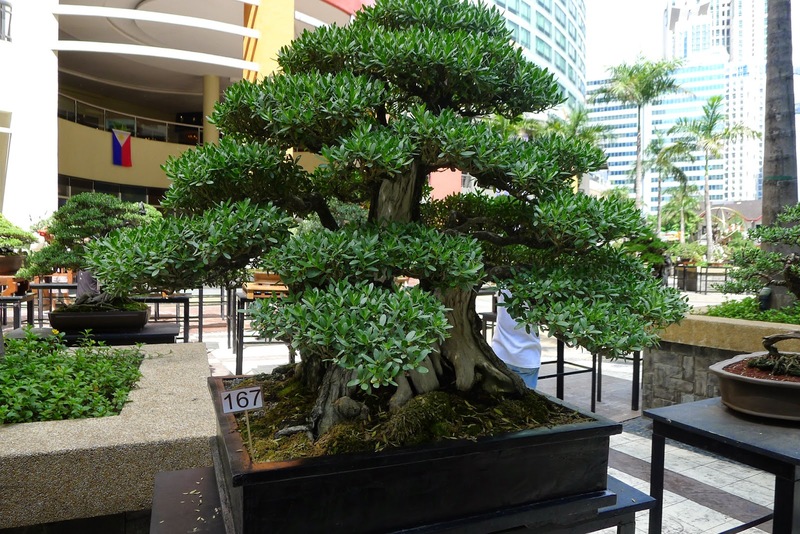 I stopped and admired each and every one of them and truly, they are all works of art. 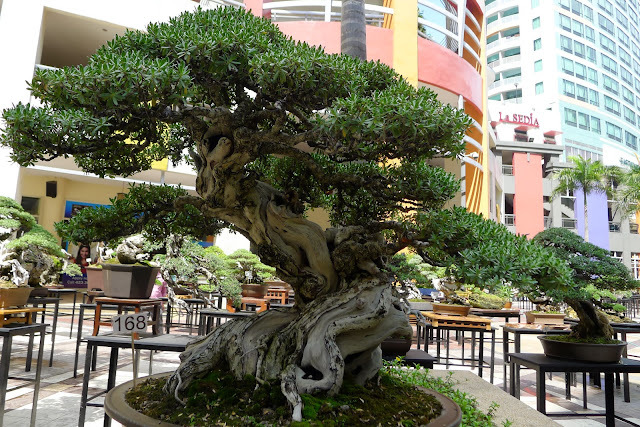 The bonsais are bigger than the ones we usually see that are being sold in gardens around the city and some have lived longer than we have. 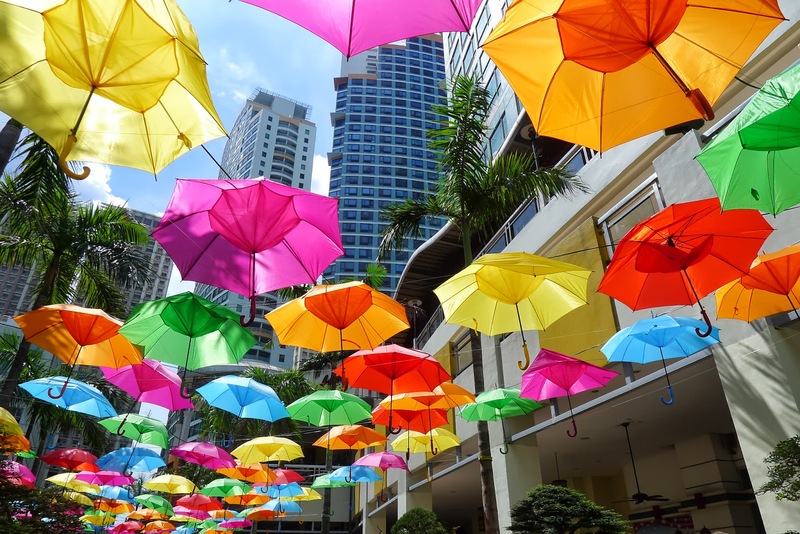 I also love these umbrellas suspended at the exhibit that serves as a shade to everyone at the exhibit during the day, and light up the sky at night. 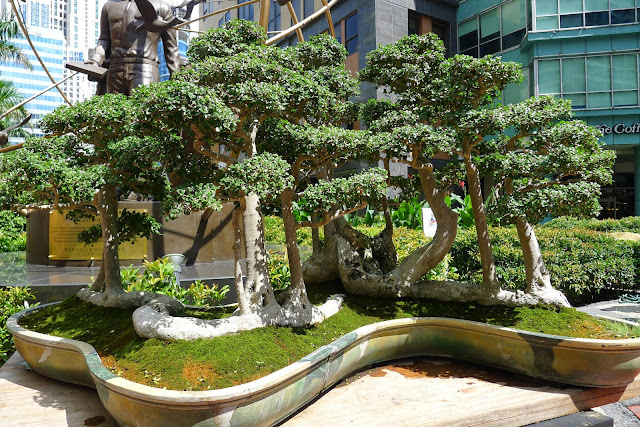 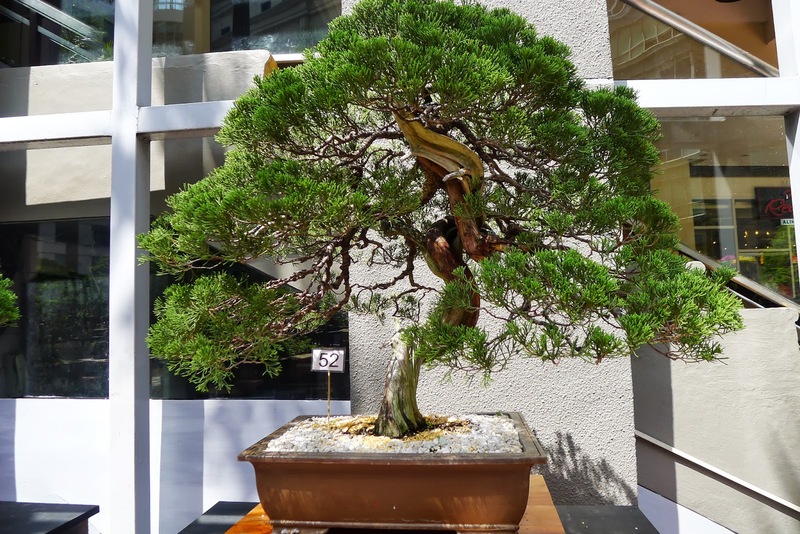 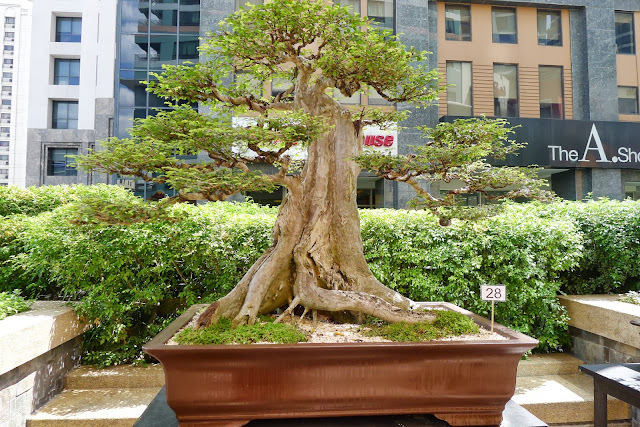 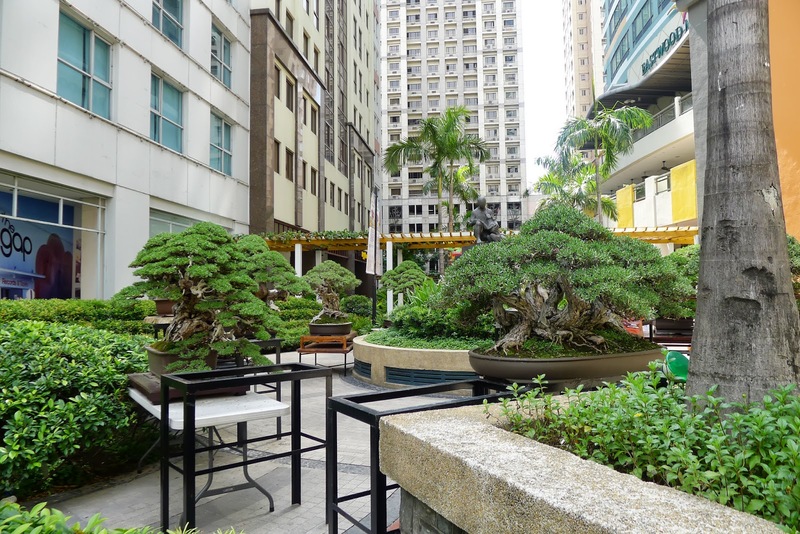 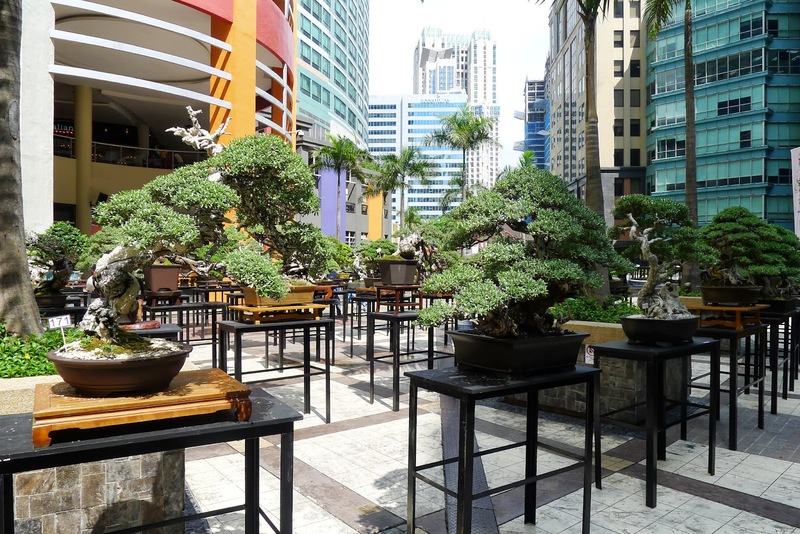 If you'd like to see these beautful works of art, you can still catch the bonsai exhibit at Eastwood Mall's open park until June 5th!